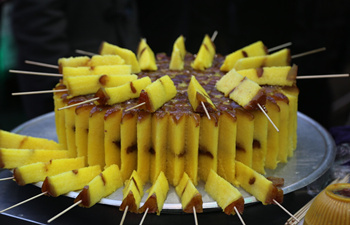 Great Tang All Day Mall locates to south of Big Wild Goose Pagoda. 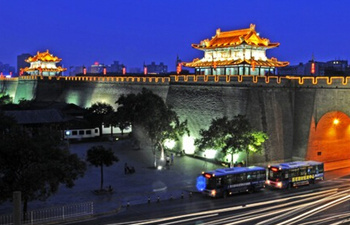 It is the priority tourist project of Xian City and Shaanxi Province. The project take Tang Dynasty culture as background and the follows the Tang Dynasty social costume as main feature. 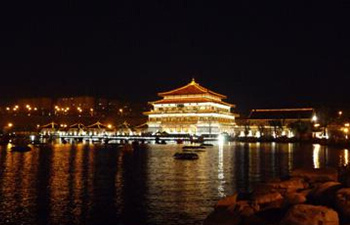 North Square of Big Wild Goose Pagoda lies to north side of Big Wild Goose Pagoda is one of the most favorable amusement and summer resort for local people. 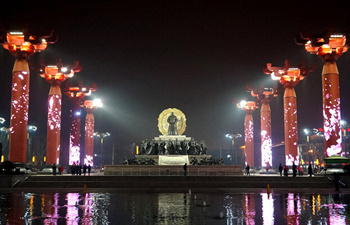 On the square there are two 200 meters long statues group, 8 large-scale figure statues and 40 relief sculpture on ground. To southeast of Big Wild Goose Pagoda. There was a imperial garden with its name Lotus Garden. 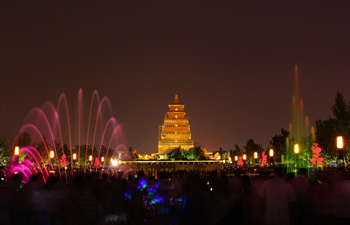 In history, Lotus Garden was exclusively the amusement place for imperial family members. 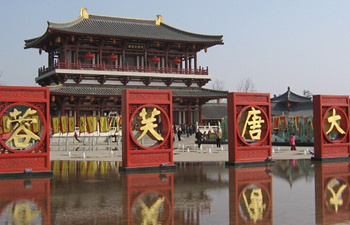 The dynasty of the garden is affected by ups and downs of the Tang Dynasty.